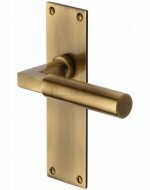 Satin brass Bauhaus door handles cast in solid brass, supplied in pairs with follower bar and fixings. 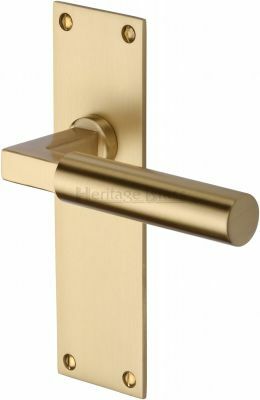 Door handle size 170 x 50mm. 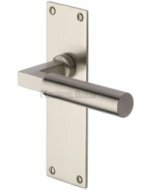 Please note these handles are on a low profile backplate and require a 38mm bore to accept the spring mechanism and are only suitable for minimum 44mm door thickness.